Star Flex products play a big part in signage industry being vital in digital printing, billboards, building mural, light box and screen printing. 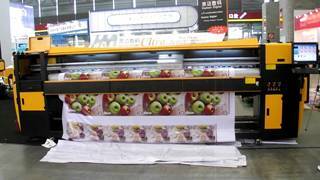 Star Flex media is widely used in Asia, US, Europe and Middle East. We've expertise in printing such banners. 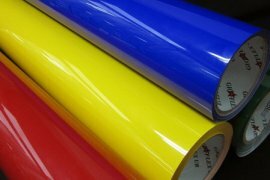 SunBoard sheets are also used in the advertising industry on account of their excellent printability for advertising signs, POP displays and hoardings. Cloth printing is the process of applying colour to fabric in definite patterns or designs. In properly printed fabrics the colour is bonded with the fibre, so as to resist washing and friction. cloth printing is related to dyeing but in dyeing properly the whole fabric is uniformly covered with one colour, whereas in printing one or more colours are applied to it in certain parts only, and in sharply defined patterns. 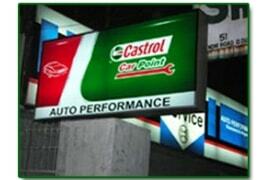 We are largest manufacturer of glow sign boards of various sizes at very best and affordable rates. 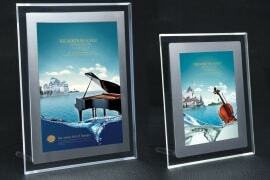 Our Sign Boards manufactured by us find usage for a varied gamut of applications. We combine the use of appropriate color combinations to maximize the scenic value of the signs. 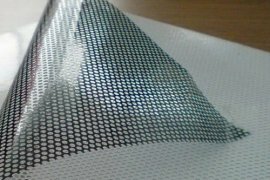 We are also engaged in Servicing an Extensive range of Oneway vision printing with the help of our expert and highly skilled designers. This one way vision printing solution is ideal for promoting and marketing the products, brands, company, events, updated product specifications, etc..These Print use in glass for Office, Malls, Showroom, Bank, Bank ATM etc. 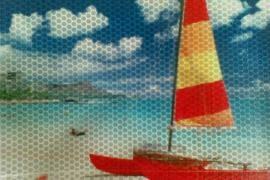 This is the digital print in high impact printing material. A canopy (or portable gazebo or frame tent in some countries) is a shelter that collapses down to a size that is portable. Typically, canopies of this type come in sizes from five feet by five feet to ten feet by twenty feet. Larger or semi-permanent canopies are known as "marquees". Most pop-up canopies come in two pieces, the canopy frame and the canopy top. The canopy frame is constructed of either steel or aluminium. Steel framed canopies are heavier and typically cost less than aluminium frames. Recently, stainless steel has been used because it is lighter than steel and stronger than aluminium. 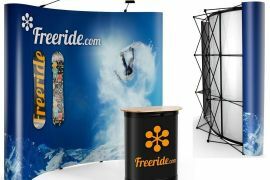 Banner Stands are an attractive and convenient way to showcase products and messages to a target audience. 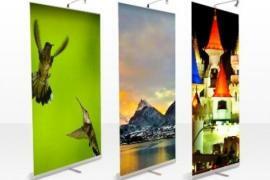 They are usually portable and flexible structures and carry attractive graphics. One of the popular types is the retractable banner stand. Easy to use, they work like a window blind- simply slide up the graphic over a pole and secure it. They are also called roll up banners. Boost your brand around the streets or exhibition every day by adding your name and logo to popular desktop items. Desktop products can even be used in variety of places and providing even more brand exposure. 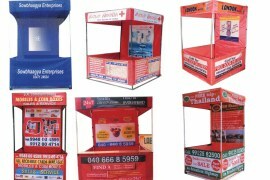 and We help you by printing any type of promotional table according to your needs and help meet all these requirements of yours. The pop-up banners have been successfully promoting our clients brands and businesses for over several years. They are highly-effective indoors and outdoors. 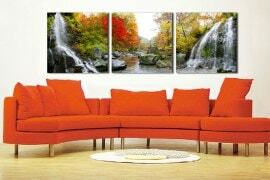 They are easy to prepare : just choose the size, printing and quantity and we will deliver your stunning banners in just short period of time. ARite-Media re_ective printable banner designed for a broad range of graphic applications such as safety short term billboards, banners, graphics and signage that requires visibility at night. 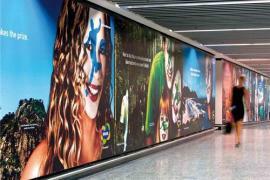 Re_ective digital print banner media for various indoor/outdoor applications. Intended for indoor-medium term outdoor use where compliance with ASTM standard are not required. Suitable for banners required for general signs, promotional signs and decals. Re_ective information, manufacture of signage symbols etc. The Art of Lightbox Program provides photography exhibits that engage a broad range of people on their daily commute. 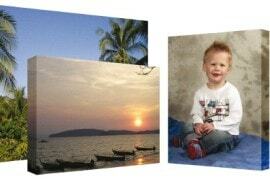 Lightbox displays are comprised of photographic transparencies, sequentially arranged on internally illuminated boxes. It enhances the overall appearance of the photo by making it glow and shine.